Ever tried a silk infinity scarf? 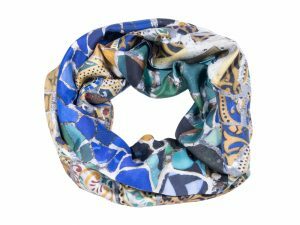 This relative new comer to the large scarf family combines the chic and elegance of the silk scarf with the practical features of the circular scarf. 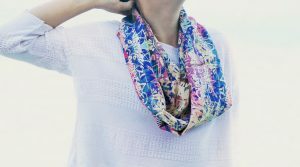 This makes it one of the most versatile, easy to wear and yet chic scarves around. This scarf is also called snood, which originally referred to a hair net or a piece to protect the fragile ears of some dog breeds in winter! But things evolve, and nowadays the snood is worn by humans, men and women alike. In fact, it has become a necessary fashion accessory, declined in multiple ways, from heavy knitted wool models to fence off the cold to lighter cotton models for spring. Here in Fibra Creativa, we love infinity the silk infinity scarf., the perfect fusion of our favourite fiber for scarves and a trendy format, resulting a a chic and practical scarf. So if you think infinity scarves must be bulky pieces, take a look (and try) the silk version, it has much in its favour! Why choose a silk infinity scarf? Compared to the more rustic or classical members of its family, the silk infinity scarves has many avantages. Style, first. Silk twill is a beautiful fiber with a great hand, that brings a definite chick style. In addition, silk has a lustrous look, and the colours come out beautifully. On the practical side, the silk infinity scarf keeps you warm, but not too warm, thanks to the exceptionnal thermic qualities of silk. Plus, you can wear it wrapped twice or thrice, depending on the temperature. All without ever having to tie a knot ! How about that for convenience? That’s right, while classical silk scarves require at least some notion of how to tie, or ideally a whole knowledge of knots, the circular scarf needs no fussy knot. Putting it on is is as quick and easy as pulling your head through the circle. And becuiase there is no knot, it never slides (unless you do the pine), never risks escaping and getting lost. Knots can get loose, seams don’t. And silk is never scratchy. So if you love the cowl or circular styles, but those you have make you want to scratch, try a silk one. Snood en twill de soie. 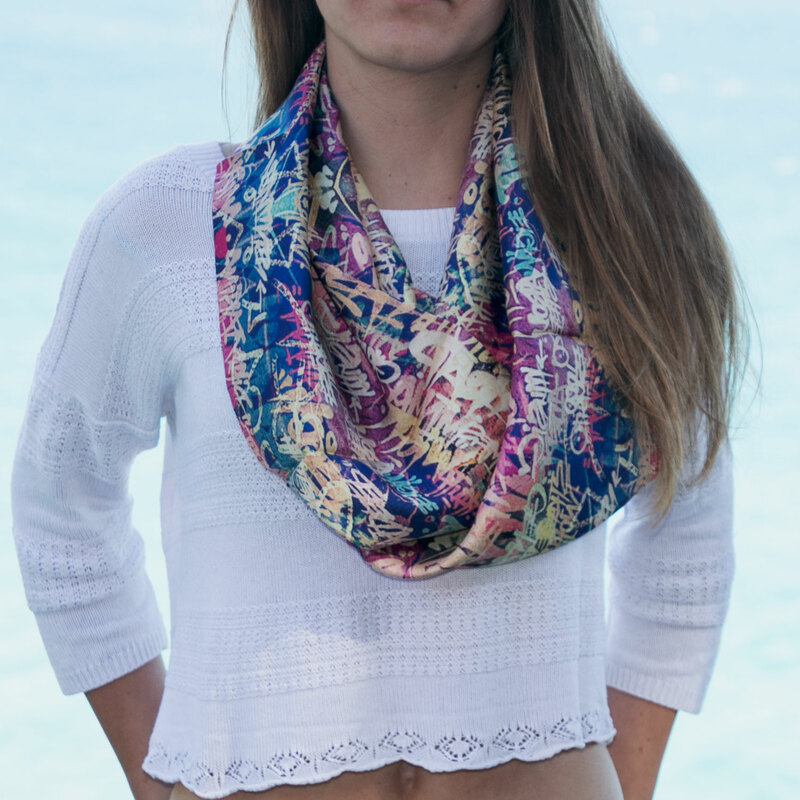 So why not try the silk infinity scarf? You’ll love it! For professionals, artists, art galleries, companies, we custom print collections for you from your artwork or designs. Bespoke silk scarves: create your own exclusive collection!